Restaurant Grease To Fuel D.C. Government Vehicles? A D.C. man is building a bio-diesel plant that he hopes will one day power D.C. vehicles. If Wendell Jenkins has his way, a portion of the city's fleet of government vehicles will one day be powered – in part – by restaurant grease. He is building a $4.2 million bio-diesel plant in Northeast D.C with just that plan in mind. Jenkins said he’s already signed up restaurants to supply the recycled vegetable oil. He now is hoping to ink a deal with the District government to use his fuel, which he says will be a blend of 20 percent bio-diesel, and 80 percent standard diesel. “Our renewable fuel, which meets or exceeds the standard specification for bio-diesel, will be the cleanest and greenest bio-diesel available on the East Coast," Jenkins said. Speaking before the D.C. Council Monday, Jenkins said there are other benefits: reduction in greenhouse gases, less dependence on foreign oil – and because he’s based in D.C – jobs for local residents. But Department of Public Works director Bill Howland, who oversees the city’s fleet of vehicles, is urging caution. 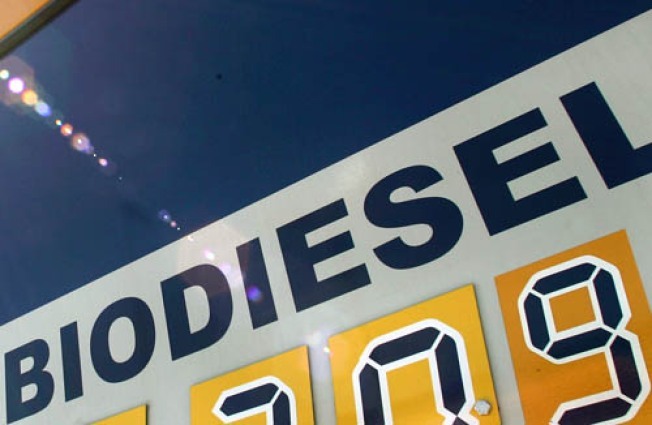 Howland said while he would love to use bio-diesel – in part to satisfy alternative fuel requirements – he needs more time and more data to make sure bio-diesel is reliable, particularly for public safety vehicles.